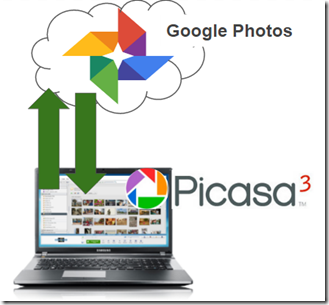 Using Picasa and Google Photos Together – Learn Picasa and Google Photos! 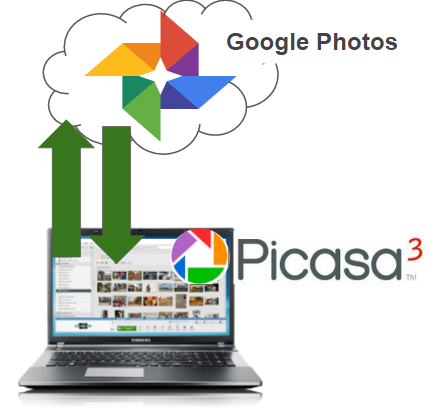 It is tricky but the “Upload to Google Photos” action in the final version of Picasa3 seems to require Google+ account. I had a Google Apps account working just fine with Google Photos but Picasa3 -> “Upload to Google Photos” failed after authentication with “This account is not enabled for Google Photos”. The problem is that my Google Apps account was not setup for Google+. Once I registered for Google+ THEN and ONLY THEN did the Picasa3 -> “Upload to Google Photos” feature work. hope this helps! I just found these comments. Thanks to all of you for the advice and your time. I will try to download Picasa from File Hippo. It is so hard for me to find the place to email Google Photos with questions. Could you provide this info. for me? Also, my computer had to have a new hard drive put in about 2 months ago. Therefore, I no longer have Picasa to use with my new photos. I now am also using Windows 10. Can Picasa be downloaded to my new hard drive where I could continue using it? This new Google Photos will not compare to Picasa. I know I was use to the older program, but with my limited computer knowledge and skills, it has really been a hassle trying to get my photos done and put in the right place for me so I can know what I am doing. Please offer me any help you can. Have used Picasa for 5 years but worry how long it will continue to play well with Google Photos. Eventually will it stop working bit by bit and eventually die? If so, what on earth will we use then? Google Photos is a poor substitute for Picasa. I love Picasa. How long will it be around for photo editing? If you have it now – no one will take it away from you. It is software for your computer. It is old software for your computer and it is no longer being updated – that is all. I think it’s a real shame Picasa is on it’s way out. It’s a great tool, and for low level batch editing / data adjustment, and organising / sharing, there is no equivalent. This method works well but the reason I stopped is that there is no way of uploading from Picasa at the 16mb GP allows free. It’s either low res or original, and original will soon add up. Actually, there is a way to get the 16megapixel size, and it’s what I wrote in the article #4. Choose Original size when using Picasa – yes that uploads the full resolution and uses up your 15GB allotment from Google, BUT later, you can use the Google Photos command under Settings, Recover Storage. This command will retroactively set all photos to High Quality and give you back the storage allotment. Photo Albums Using Google Photos Google Photos–Is it Really Unlimited and Free?